To participate in a democracy, it is not enough to have a vote and a voice; it is also essential to develop the knowledge, skills and understanding needed to make that opportunity meaningful. In the context of museums, this may include developing the skills of critical historical and archaeological thinking. To learn to use evidence, to be empathetic, to see different viewpoints, to present judgements in ways that give space for the ideas of others, is to acquire skills which may also be applied widely in contemporary society. It was a bold and challenging brief. The trustees decided to commission two alternative reports. They invited Patrick Geddes, the pioneering biologist, sociologist, environmentalist, social reformer and city planner, to produce one of these, and T. H. Mawson the other. For Geddes, this was an opportunity to bring together his life's work across many disciplines in one visionary scheme. He spent months, with the assistance of a photographer, recording almost every square yard of the city, before submitting his plan. Nothing, including the broken sewerage pipes feeding waste into a stream, was too ordinary to attract his gaze. 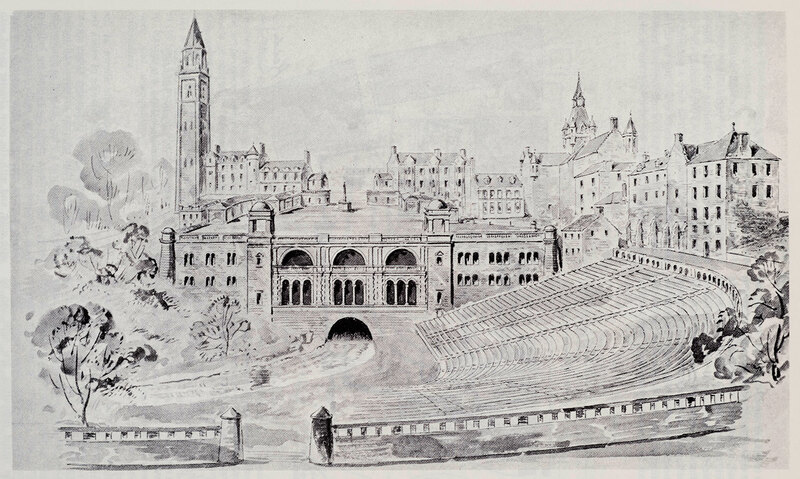 His vision for Dunfermline was that it would become, in effect, a contemporary living open air museum, created by its citizens themselves - both adults and children. His photographs were shown alongside comparative versions of the same image that he had over-painted with his vision of the new city. It was to be realised gradually, organically over fifty years, using only the interest on the capital. This would mean that at the end of the project, the original $2,500,000 would remain intact for further projects. Geddes was not the only great thinker of this era to stand in radical opposition to the social and museological norms. More than a decade earlier William Morris, in his utopian novel News from Nowhere(Morris, 1890), saw no useful role whatsoever for museums. London's museums have all but disappeared in Morris’ vision of the socialist future. The V&A (then the South Kensington Museum, the forerunner of today's Science Museum and V&A) has returned to woods and streams. The National Gallery has survived, but as a curiosity, with historical works that are inferior to those now being produced all over the country. In this and other writings, Morris makes it clear that it is the use of museums, their role in promoting learning through practice of the crafts and arts, that is the true test of their value. Both Geddes and Morris would have been bitterly disappointed by the prevailing orthodoxy of museums in Europe and North America in the 20th century. 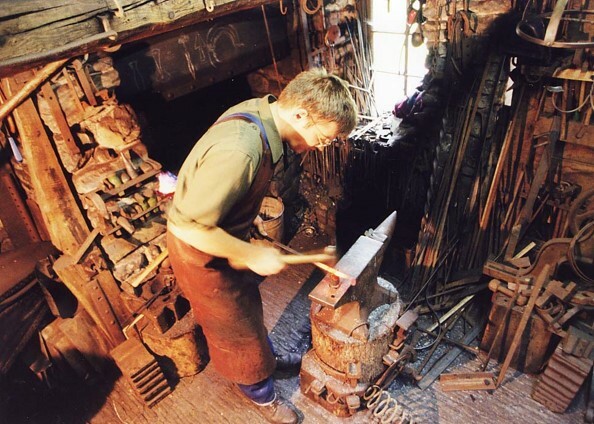 We need to remind ourselves that it is the narrow, ossifying, elitist 20th century museological tradition - in which, for the most part, ‘the smithy was nowhere’ – that was the aberration in the history of museums over the last two centuries. In the 19th century, and once again in our 21st century, the tide was, and is, the other way. For far too long, open air museums have been regarded by many in the museum establishment as standing on weak academic foundations, as being less intellectually respectable. There was, supposedly, an academic hierarchy of disciplines, which in Britain reflected our rigid and socially unjust class system. In the cultural sector, as in society, disciplines like fine art and certain sciences were pre-eminent and socially respected. But the crafts, education and social sciences – including many of those disciplines that had most direct impact on people's lives, and those most relevant to many open-air museums - were treated as inferior. The worst horror that could happen, for some who worked in museums, was to be asked to do anything useful with one's knowledge. Usefulness was dismissed as 'social engineering' or 'dumbing down' - something to be sneered at and avoided. This in a society in which traditional apprenticeships were largely abolished, and many young people were encouraged to go to university instead. We were told that Britain's future lay in the ‘weightless economy’, an economy of ideas and designs that we would create, leaving to others the dirty and shameful business of making (Quah, 1997)1. Manufacturing would be out-sourced to Asia and other, poorer, allegedly less educated, parts of the world. There is of course still some manufacturing in Britain, but its productivity has lagged behind that of many other countries. The ‘weightless economy’ has failed many in our country and many others. Why did we ever imagine that emerging economic powers, such as China and India would be content to depend for long on us and our weightless, disconnected designs, rather than create their own ideas? Britain's assumptions were arrogant, and perhaps even racist. Today the museum sector worldwide faces many challenges, but the greatest of these is purpose. What are we for? Ten years ago in the United Kingdom, it was fashionable to make a distinction between 'intrinsic' (good) value in the arts, and 'instrumental' (bad) value. We can no longer afford to regard social impact as merely instrumental, or marginal to our purpose. So what is our social purpose? There is a growing consensus that this includes : (i) public learning - schools / higher education - but also the alternative universe of informal family and community learning; (ii) health and well-being (Glasgow Life provides an excellent example of a museum which is developing this dimension of its work); (iii) community building and cohesion; (iv) place making and the fostering of good, culturally rich, safe and diverse public spaces; (v) social justice, challenging poverty - brilliantly articulated in Wales by two recent reports, one by Professor Dai Smith on the arts and education (Smith, 2013), the other by Baroness Kay Andrews on culture and poverty (Andrews, 2014). As a sector, despite all the perceived pretensions and affectations, or perhaps because of them we are still not very good at ethics. Compared with many other vocations and professions such as doctors and teachers, we can seem, ethically, an evolutionary remnant, with our knuckles dragging along the ground. The sale of Sekhemka in 2014, said by some to be the finest early Egyptian statue outside Egypt, exposed the conflicting motives and rationales of the museum profession, for acquiring and holding collections. For works of undeniable public value for inspiration and learning - such as Sekhemka - how can it ever be right for them to pass from the public domain into private ownership? Yet United Kingdom Museums Association's guidelines allow for precisely such a transfer. These transactions happen for large amounts of cash provided that the necessary procedures have been followed, which they easily can be. It was left to the Egyptian Ambassador at the time, to do what the United Kingdom museum sector had failed to do - that is, to declare that cultural rights are founded on principles of public good, and that these rest on more than the entitlements that come with current ownership. If the United Kingdom government and museum sector (including Northampton Museum) demonstrated themselves to be incapable of upholding these principles then, rather than allowing great works to be lost through private sale (the Ambassador proposed) they should return them to the Egyptian people, who have a prior claim to it that goes deeper than money. We are also not very good at upholding human rights. And, in particular, we are neglectful of those rights for which we as museums are directly (and as nations, legally) responsible - that is, cultural rights. Cultural rights can be defined as (i) the rights of threatened minorities to sustain their own cultural practices; or (ii) as the rights of contemporary artists in countries governed by repressive regimes to freedom of expression; or (iii) the right of all adults and children to meaningful cultural participation. All too often, museums and galleries take the safe route of upholding the rights of artists, and particularly, celebrity artists in countries like China, while ignoring their own responsibility to provide for the right to cultural participation of the citizens of our own country - something which would be far more inconvenient and challenging. Most philosophy explores the ideals to which we can aspire - such as justice. Miranda Fricker's book, Epistemic Injustice, does not follow this road, but instead explores the philosophy of injustice (Fricker, 2007). Using Harper Lee's book, To Kill a Mockingbird, as the focus for her analysis, she demonstrates that an accumulation of apparently small injustices can have a traumatic impact. This can come to the point where the victim believes they will not be given a fair hearing, and in consequence falls silent. Visitors and their communities have little or no voice in the decisions made by museums. In many museums, and in particular in more traditional national museums, the only voices that are heard in the galleries are those of professional experts. We underestimate the accumulated impact of these small but sustained acts of epistemic injustice that we perpetuate upon those who are not us. 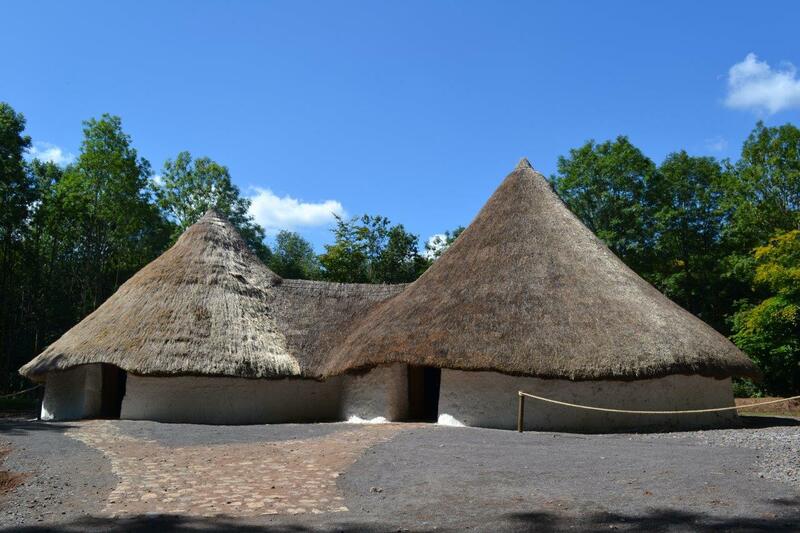 St Fagans, along with a handful of other museums in the United Kingdom, has been pioneering new relationships of co-production and participation with the public. Underpinning this work has been a strong commitment to social justice. Just one of many initiatives at St Fagans - the ‘Our Museum’ project, funded by the Paul Hamlyn Foundation - can be taken as an example of this new direction. This project transformed the museum's formerly staid volunteer programme, by developing partnerships with a wide range of charities that worked with adults and young people who were homeless, in drug rehabilitation, or facing other very challenging personal circumstances. 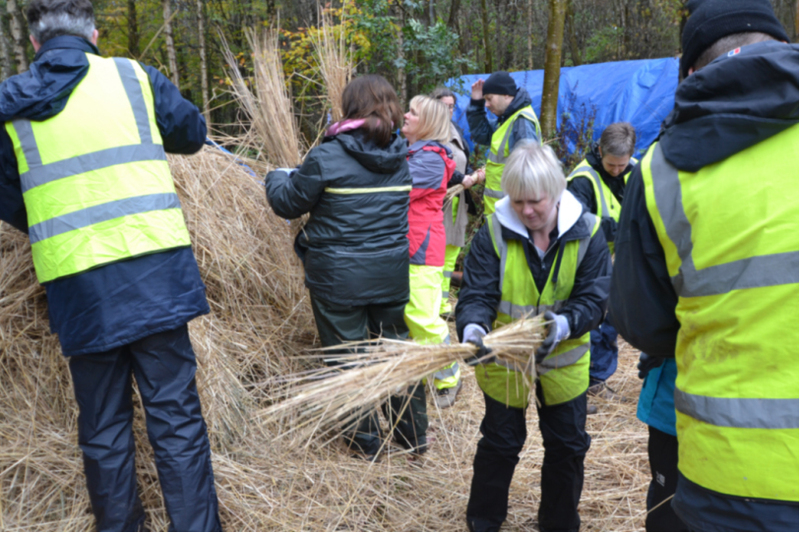 These groups are now the core of our hugely expanded groups of volunteers. They are working actively around the site. However, more significantly some are also involved in decisions on the development of the museum - including the recruitment of the museum staff who will coordinate the programmes in which they participate. 'Paul's Story', the journey of one of our volunteers from the street to the museum, can be found on the Amgueddfa Cymru - National Museum Wales website. Equally important are the skills of the hand - creativity and making. These are capabilities upon which, until relatively recently, almost the whole population in the United Kingdom depended. Making is an essential part of what it means to be human, yet it is seriously undervalued in our education system - so much so, that a leading surgeon recently warned at a conference in the United Kingdom that the lack of opportunity for children to develop fine motor skills through the arts would mean that, in future, trainee doctors would find it extremely difficult to develop these skills as adults, to the level required to be good surgeons. Skills, then, is another field to which open air museums can make a huge contribution. In the United Kingdom, at least, museums are not shackled to a formal school curriculum in their work with other audiences, and still have the freedom to construct learning experiences that address urgent practical needs. The time has come for us to speak out clearly and assertively on what we can offer to our communities because, at our best and strongest, we can meet their deepest needs. In the words of the new Vision statement of Amgueddfa Cymru - National Museum Wales, our task is, according to our new organisational vision "Inspiring People, Changing Lives". By showing that the past was different from the present, we can also show that the future too will be different, and (through our efforts) it might even be better. We need museums in future that are not just of the head, or of the heart, or of the hand, but of all three. Open air museums are best placed to foster such skills, to offer routes to cultural democracy and cultural rights, in ways that that few, if any, other kinds of institution can match. If we succeed in transforming our institutions in this way, we will go some way to achieving Patrick Geddes' vision of Eutopia, "good place". ANDREWS, K. (2014). Culture and Poverty: Harnessing the power of the arts, culture and heritage to provide social justice in Wales. Welsh Government, Cardiff. FRICKER, M. (2007). Epistemic Injustice: Power and the Ethics of Knowing. Oxford University Press: Oxford. GEDDES, P. (1904) City Development. A Study of Parks, Gardens and Culture-Institutes; a report to the Carnegie Dunfermline Trust, Edinburgh. MORRIS, W. (1890). News from Nowhere. MUMFORD, L. (1922). The Story of Utopias. QUAH, D. (1997). Empirics for Growth and Distribution: Stratification, Polarization and Convergence Clubs. Journal of Economic Growth., 2(1). SMITH, D. (2013) Arts in Education in the Schools of Wales. Welsh Government, Cardiff.